Education Dept’s new approach | Daily Express Online, Sabah, Malaysia. KOTA KINABALU: The State Education Department is set to take a more proactive approach to ensure it will achieve its key performance indexes (KPIs). “The KPIs are for the sectors under the State Education Department and the initiatives to achieve it will be implemented by everyone,” she said after the department’s Professional Talk, here, Wednesday. “My actual task is to ensure that these KPIs are achieved and we will make several interventions to achieve them. For this year, the department has outlined 24 KPIs, encompassing professionalism and administration. 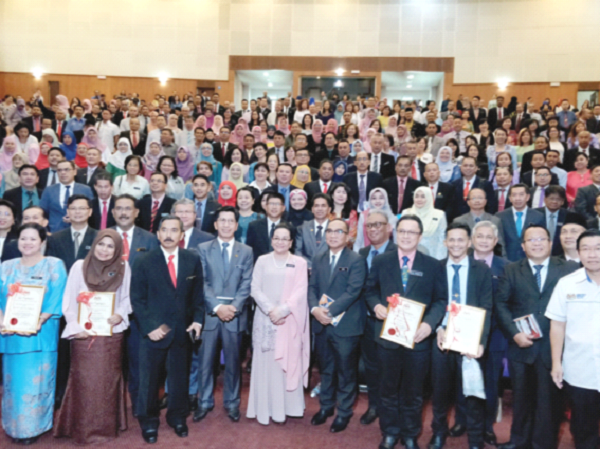 Among them are to increase the UPSR minimum standard achievement percentage, to improve the percentage of students’ attendance in schools, and to increase the number of Sabahan teachers. She said, among the initiatives taken is to strengthen the department-school communication plan. “The State is vast in area and the schools are located in urban, rural areas, including islands. “For a directive from the Education Ministry to reach the implementer, which is the school, there are many leakages. “Hence, this year, the department will initiate the Outreach 3-in-1 programme. Under this initiative, several district education offices which are situated close to one another will have a combined monthly meetings and record update. “We have to do away with our status as a state facing delays in position confirmation, uncomplete information to enable an efficient management of retirement, and overpaid salary, among others, due to non-up to date records,” she said. To enable the stakeholders and the public to obtain accurate information, the department has also provided a helpline at 088-537111 which is operational during office hours. Meanwhile, on the enrolment of children without any document into public schools, she said the department had been following the existing regulation. “We still use the same regulation on three categories of students – citizens, citizens without documents and non-citizens with documents. “We have been using the same guideline all this while and we have received an instruction from the Education Ministry to use the existing procedure,” she said.